"The rootkit registers a Shutdown callback to achieve persistence. At shutdown, the driver is written to disk, and a start-up service key is created in the Registry," the researchers say. Password and Browsing History Stealing Payload — The main dropper steals browser cookies and login credentials from Google Chrome, Chromium, Mozilla Firefox, Opera, Microsoft Edge, Internet Explorer, Baidu Browser and Yandex. It can also steal cookies and login info from victims' accounts on Facebook, YouTube, Amazon, and Airbnb. 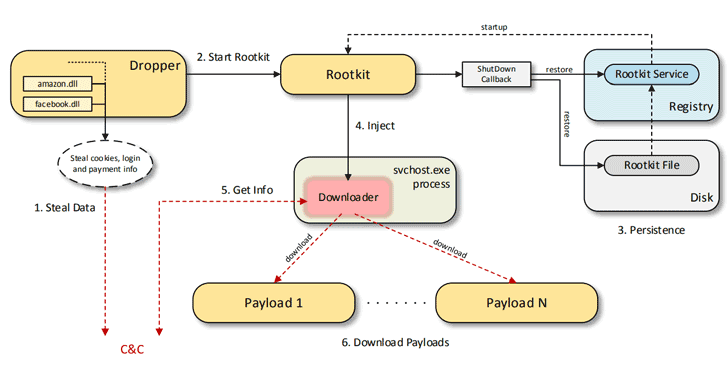 Steam Data Stealer Payload — This component steals and sends victims' Steam account credentials and information, including the list of installed apps and games, as well as hardcoded version, to the attacker's server. 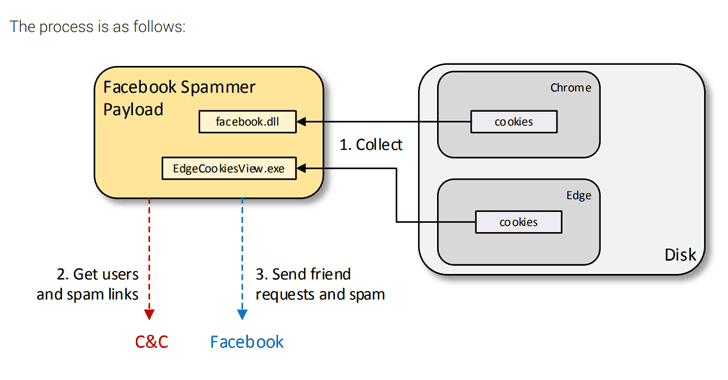 Facebook Spammer Payload — Using collected cookies and other tokens, attackers can command malware to send Facebook friend requests to other users. It can also send private messages to the victim's Facebook friends with links to malicious Android APKs. Android Adware App — Disguised as the legitimate "Accurate scanning of QR code" app available on Google Play Store, the malware app aggressively displays ads, tracks infected victims and uses same C&C server as the Windows malware. According to the telemetry gathered by Bitdefender researchers, Scranos is targeting users worldwide, but "it seems more prevalent in India, Romania, Brazil, France, Italy, and Indonesia." The oldest sample of this malware traced back to November 2018, with a massive spike in December and January, but in March 2019, Scranos was started pushing other strains of malware, which researchers say is "a clear indicator that the network is now affiliated with third parties in pay-per install schemes."